Located in the heart of USCs campus, Adesso is one of Columbias finest residential condominium buildings. Home to a wide variety of residents, this building is known for its incredible amenities including 24-hour security, the prime downtown location, and secured underground parking. Upon entering the condo, you will notice the incredible amount of natural light, the open concept floor plan and the cherry wood floors and thick crown molding throughout the main living spaces. The gorgeous kitchen is complete with stainless steel appliances, granite countertops, tile backsplash, bar area, and tons of counter and cabinet space. 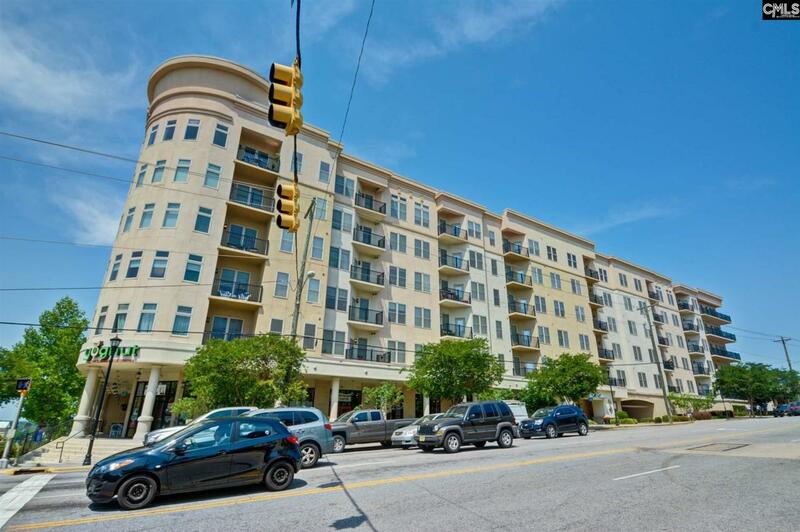 Just off the main living area is the charming balcony providing views of downtown Columbia. The spacious master bedroom features a private en suite bathroom with dual vanities, walk-in shower, soaking tub, and a large walk-in closet. The second bedroom features a semi-private bathroom with a large closet. Dont miss the incredible amenities located throughout the building, including the clubroom, fitness center, private pool and rooftop grilling area! If youre looking for low maintenance downtown living, this incredible condo is waiting for you!